Indian fast bowler Ashish Nehra will retire from international cricket after the first T-20 match against New Zealand on November 1 in Delhi. Feroz Shah Kotla is the home ground for Nehra. A senior BCCI official told that Nehra has told Team India Chief coach Ravi Shastri and captain Virat Kohli about this decision. Nehra was also part of the Indian team that won the World Cup 2011. ICC will not host World Twenty-20 in 2018, in such a situation, Nehra has told the team management that it would be appropriate that junior players get more opportunities. It is observed that Nehra will not participate in the IPL in the next season. Nehra, who made his debut for India in 1999 under the leadership of Mohammad Azharuddin, has played 17 Tests, 120 ODIs and 26 T-20 Internationals. He has taken 44 wickets in Test matches, 157 in ODIs and 34 wickets in T-20 internationals. Nehra was also part of the World Cup 2011 winning team and he had a fantastic performance in the semi-final against Pakistan. Although he did not play in the final due to fracture in finger. IPL franchisee may connect Nehra to the team as bowling coach. Ashish Nehra feels that Buvneshwar Kumar and Jasprit Bumrah are in a good form and they will perform very well in the coming matches. 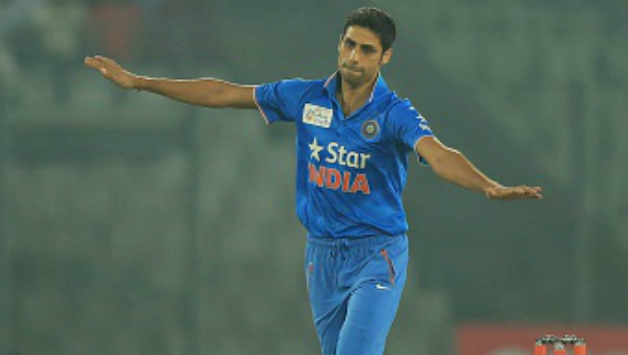 Feroz Shah Kotla T-20 match will give Nehra an a chance to finish his international career. This is such a shame. I have enjoyed watching Nehra over the years. India need more pace bowlers now!